Some work even extends to small tasks like changing light bulbs and pulling weeds. Many of us, at the end of a long workday, don’t have the energy to accomplish the tasks mentioned above. Most people have good intentions and big plans in the areas of home maintenance and landscaping. However, few people get around to taking care of these home care needs. Thankfully, a landscaping KC company makes life easier by offering services such as lawn care, irrigation, and, of course, general landscaping. 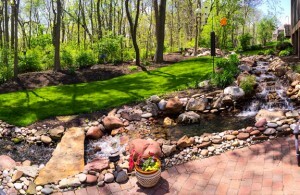 Landscaping/home maintenance Kansas City business-By The Blade also offers home maintenance services that most people simply don’t have the time or expertise to take care of. Not many companies can take care of both the inside AND outside of your home. Home maintenance and landscaping KC are important. In fact, keeping your home up adds value to it. Home improvement expert John Riha wrote, “Proactive maintenance is essential to preserving the value of your home—without it, your home could lose 10% of its value. Regular, routine maintenance enhances curb appeal, ensures safety, and prevents neglected upkeep from turning into costly major repairs.” Proactive maintenance includes fence and shutter repair, deck construction, and preservation of plumbing. Anyone on the lookout for KC landscaping or a home maintenance (Kansas City) company should consider contacting By The Blade for more information. 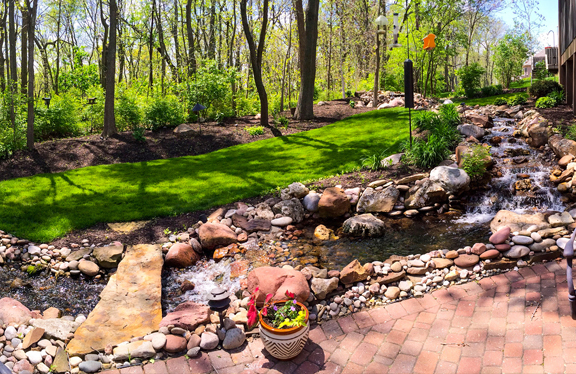 What landscaping and home maintenance services do your home need most?